Freedom Clean, a domestic cleaning company, approached us to design a logo and website. The design emphasises domestic cleaning, with an image of a house, and the script font adds a personal approach. It’s a simple but clear logo that also works well as a car graphic. 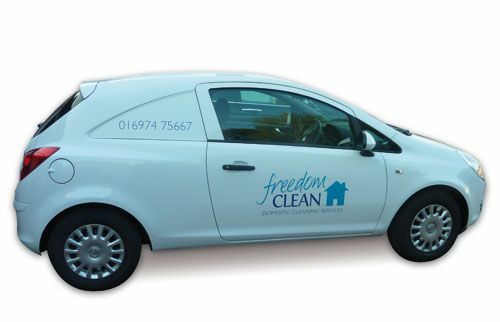 The vehicle has already helped generate work with Freedom Clean gaining two new clients from people seeing the car.